Of course you’ve been to Paris, what was the quirkiest museum you visited there? 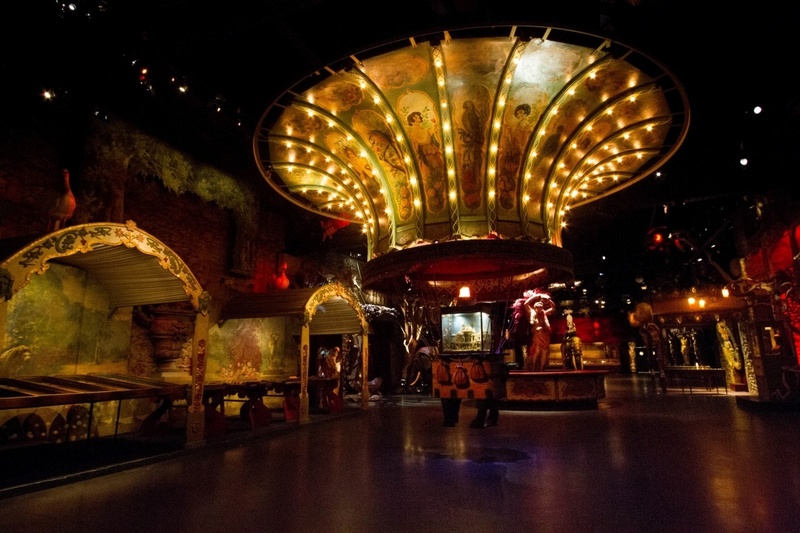 Get ready to be dazzled and amazed at Les Musee des Arts Forains, step right up! Ah Paris! If there is any one city in the world that calls us back over and over again it is the City of Light. Paris changes as quickly as a model changes outfits for a runway show. Every season brings its own charms and delights. The city changes with each passing season. You really should plan on returning to Paris if only to taste the changes to the seasonal menus in all of her incredible restaurants. However, aside from eating and drinking wine, is there enough to do for repeat visitors? The answer, of course, is yes. 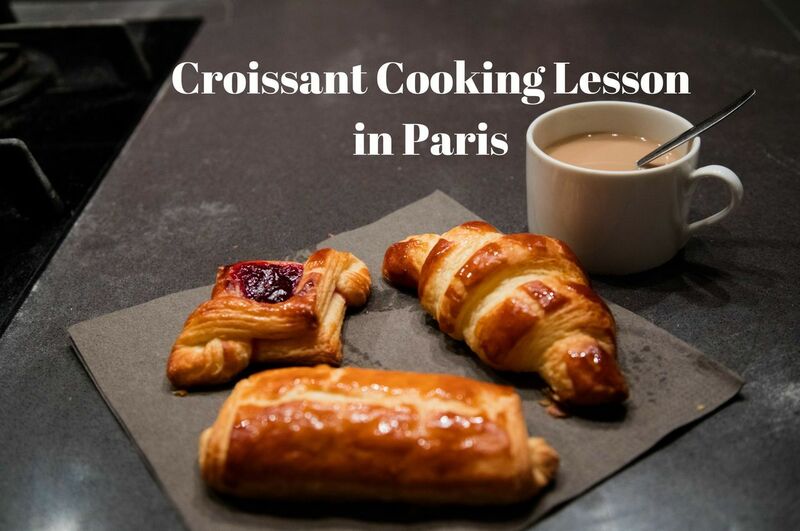 There is always some new exhibit or concert to check out, another wing of the Louvre to explore, and a seemingly never ending list of quirky museums to find and visit. The grand entrance to museum – stepping back in time to the good old days. 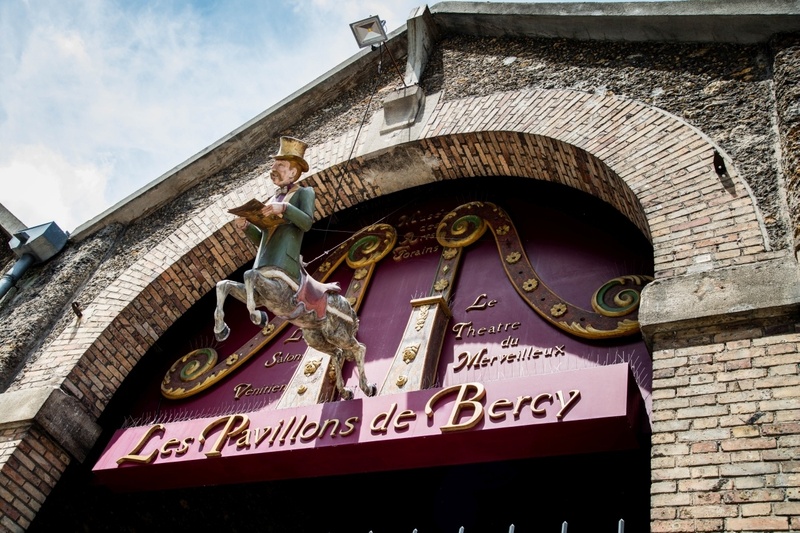 On our last trip to Paris we finally made it to the delightful Pavillons des Bercy and the Musée des Arts Forains. 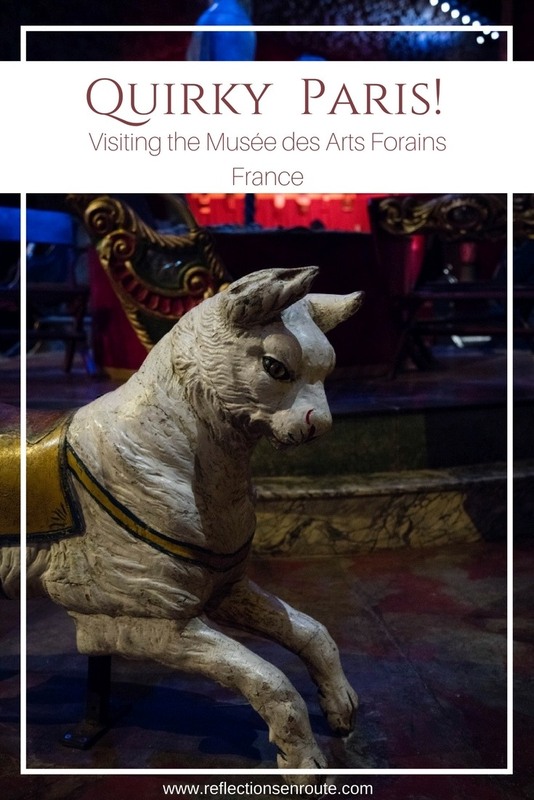 For those of you non French speakers (comme moi), the Musée des Arts Forains is the Museum of the Carnival Arts. 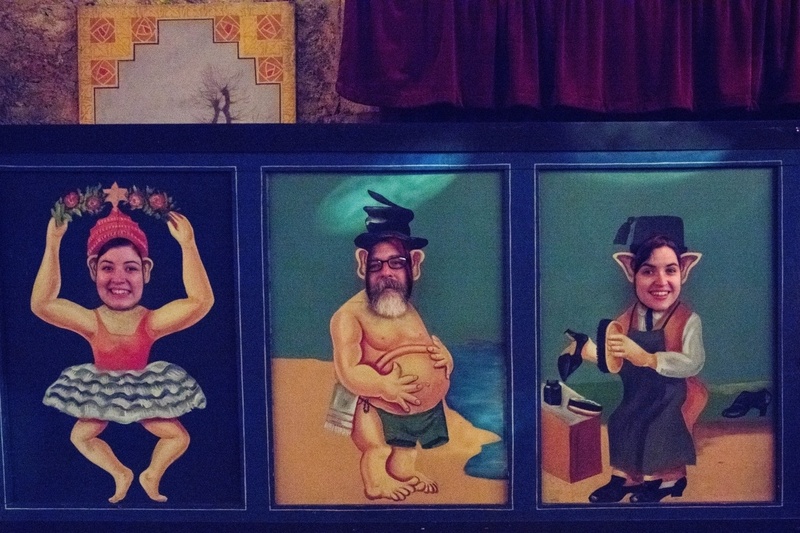 No, it is not filled with paintings of clowns created by wistful carnival ride operators. It is, in fact, filled with the art work of the carnival itself. 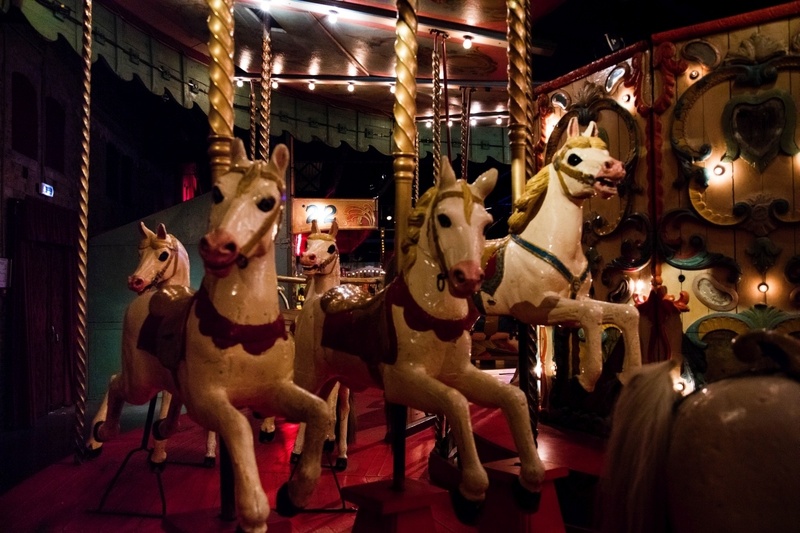 A dizzying assortment of carousel animals, midway games, automatons, gypsy fortune tellers, and fairground organs. Go for a balloon ride without ever leaving the carnival. 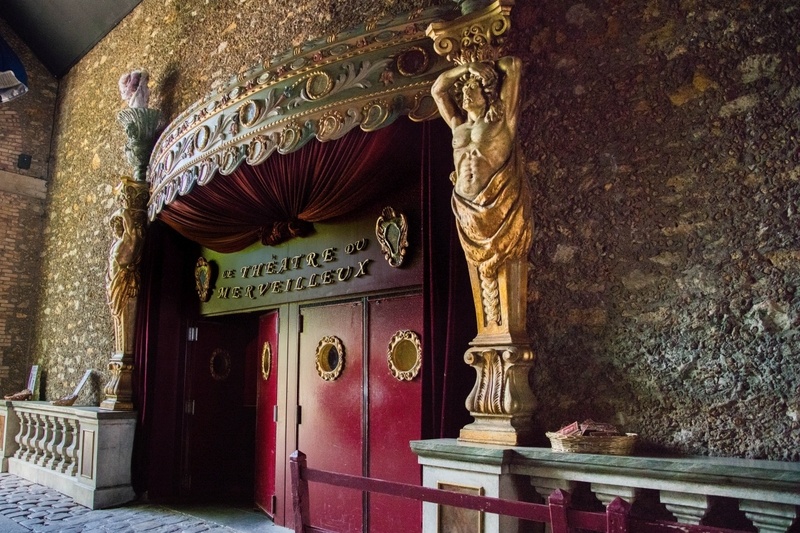 Entrance to the Musée des Arts Forains can be challenging. Visits are by appointment only and can only be made with a guided tour. The good news is that the museum’s website is well designed and easily navigated. The bad news is there are only a few days each month when the museum is open for visitors and the website only shows the current month openings. You can call and check on later dates, but the best option is to book your tickets as early in the month of travel as possible. 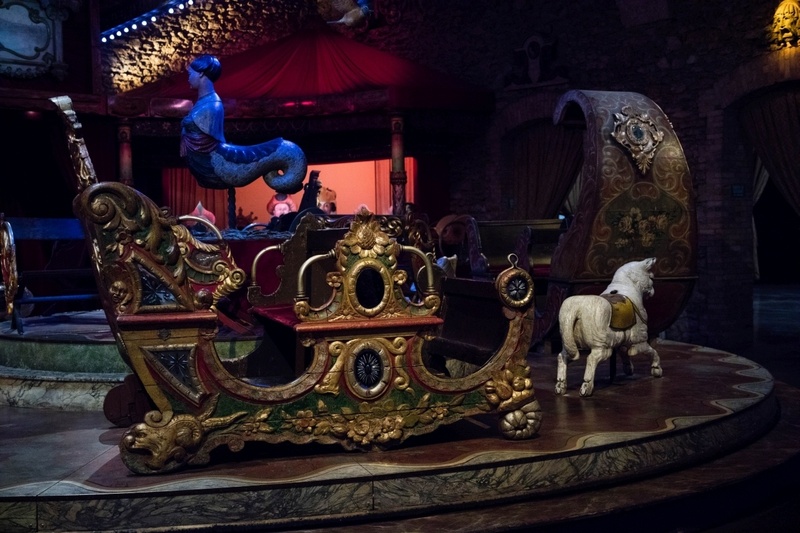 The art of the carnival includes carousel horses, of course! Tours are only conducted in French, with an English pamphlet available for non French speakers. On the day of our tour, however, the operators divided the visitors into two groups, one of only French speakers, and the other a mixed group. In fact, our mixed group guide told her stories and provided all of the information in both French and English. 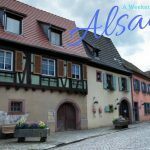 The museum really does try to accommodate all visitors, so don’t let the “French Only” notice stop you from visiting this fabulous museum. 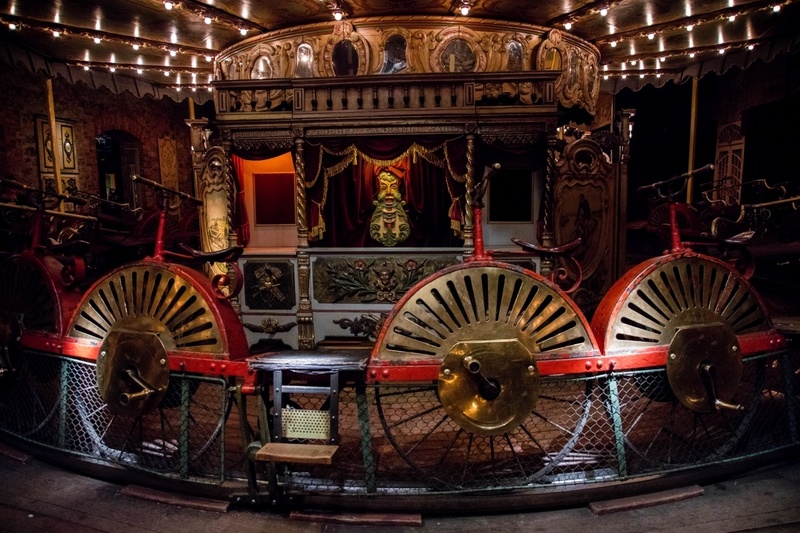 There are several very old carnival rides that are lovingly maintained and displayed at the Musee des Arts Forains. This is a hands on museum, and while you can’t just wander around on your own, you do get to ride on some of the rides and play some of the midway games. 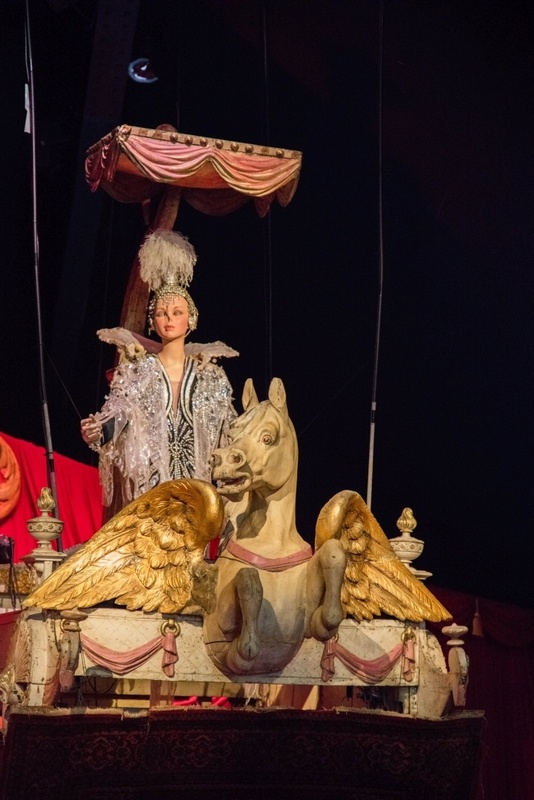 Treat yourself to the sounds and sights of the carnival with blaring mechanical organs, flashing lights, and automaton operas. Flash photography is prohibited but you can still take video and photographs, just be prepared for the dark conditions. Of course, there’s no eating or drinking allowed within the museum and there isn’t a museum cafe, so plan on lunch before or after your visit. The human powered velocipede, jump on a bike and start pedaling! Getting around Paris is a piece of cake. Make sure you have plenty of T+ tickets that will allow travel on metros, buses, or trams. Consider purchasing a day pass if you’ll be taking more than 8 trips in a day. Otherwise, buy packs of ten tickets at a time. I always recommend bus over metro getting around Paris You’ll get to see more of the city traveling above ground, and you’ll limit the walking and stair climbing needed to get from point A to point B. Just remember, when using tickets you can’t transfer between metro and bus on the same ticket. Pin Musee des Arts Forains for later! This museum is fascinating and gorgeous. I really like the ornate carnival pieces. They look like they are from the early 1900s. Rhonda, It’s just a lot of fun as well. You would love it, and so would your girls. Love this post!!! Paris is one of my favorite cities and it is always nice to see something unique and different that you can do there. Kad, Let me tell you, we agree. My daughter found this and the four of us had an absolute blast! What a cool museum, such a shame it is only open a few days a month. Sally, It’s worth checking into if you are going, though! I don’t think I’ve ever seen such a beautiful entrance to a museum. I love the idea of a museum of carnival arts, I imagine it’s an art that is getting eroded over the years. Josie, I would agree. It’s a very nostalgic and fun place to visit. I hope you get there. A great city with great historical significance. The sculptures and the art works are really breathtaking. Gokul, Yes, and it has some quirky surprises as well. Very cool but kind of on the creepy side for some reason to me. I love finding off the beaten things so this sounds like a great find to me! Thanks for sharing. It may sound creepy, but it’s really not. It’s fun, whimsical and nostalgic. This is a fascinating and fun museum. Far removed from the classic and elegant artistic museums of Paris. But so intriguing and interesting. Nice to know it is a hands own museum. I am sure one can have a wonderful and immersive experience here. Definitely holds the promise of fun times. Sandy, That’s it. It’s fun, whimsical, and even romantic. I hope you do sometime. I love how over the top these pieces are! I would like to visit this museum to see if for myself. It looks really interesting. Nathan, They are beautiful pieces of a by-gone era of art. It was very nostalgic. This sounds like a great idea. Carnival arts is a very interesting and enjoyable theme for a museum. Must make a note of it, for our next time there. Punita, It is a fun museum. Fun! I have been to Paris many times, but have never heard of this cool little place, we will have to check it out when we return. It looks really interesting and a little bit weird – we would love it! Stacey, It’s just a lot of fun! Go! Elisa, We have the transcript if you are interested. It’s basically just dates of the items and a little trivia. It was much more fun just riding and playing. What a fun spot to explore! Such interesting pieces from different time periods of carnivals. Were any of the carousels operational? Brian, They were and we were able to ride on them. They were a blast! This looks like such a great and interesting museum to visit. I think my kids would really enjoy its uniqueness. We’re going to be in Paris this summer for a few days. I’m going to see if there’s availability then and if we can make it here. Thanks for the tip! Mary, They really will love it. I think you’ll be in luck! Not quirky for me! Fabulous! Carol, It’s a lot of fun!